What is Amazon Spark and What Can It Do for Amazon Sellers? Amazon with Jeff Bezos at the helm has proven to be one of the most influential companies on the planet today. With the company’s innovative practices and expanding influences, Amazon is on a perpetual path to stay at the top. This is great news for Amazon sellers like us, since Amazon as a platform is constantly presenting us with new opportunities – like Amazon Spark. 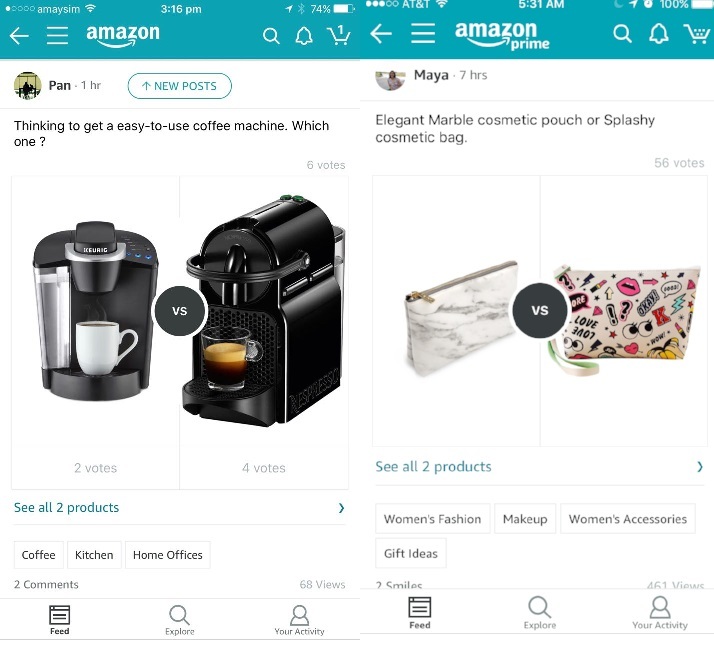 It would seem that Amazon is making an effort to help private sellers establish themselves as legitimate brands by creating their very own social network, completely centered around shopping. In one of my previous articles you can see the case I make for why selling on Amazon is the greatest business revolution of our time. This move by Amazon only seems to validate my point even further. So, what is Amazon Spark and how does it work? Most people would describe it as a love child of Pinterest and Instagram. Essentially, people post content that contains available products from Amazon to their page, creating what Amazon calls “product experiences”. 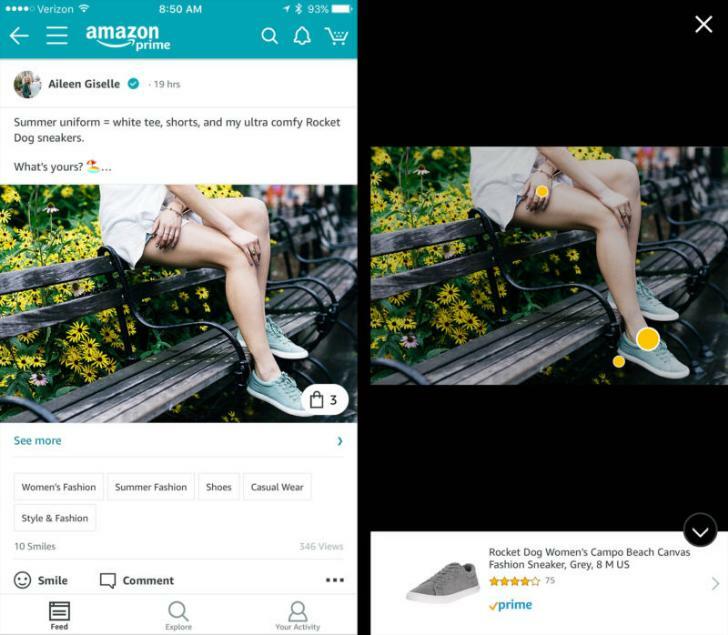 Amazon Spark is available to be used only via the Amazon shopping app on Apple and Android devices in the US. Additionally, it can only be used with a prime account, which means that it has by default over 100 million potential users. Getting started on the app is as easy as a few taps on your phone.You start off by selecting 5 or more interests that will serve to filter out things that show up on your feed. On the left we see a tasteful image of a girl sitting on a bench, seemingly a very commonplace type of image on any social media. However, the most important part of the image is the little white shopping bag icon with a number 3 next to it in the bottom right corner of the image. This little icon indicates that the image contains 3 products that are available for purchase on Amazon. If we tap on the image once, we can see the interface on the right. Every yellow “dot” is related to a product contained in the image. By tapping an any of the dots you will see the name of the product along with its rating bellow. Another tap on the product will take you directly to the listing for it, where you can make a purchase. What Amazon spark allows users to do is post images of products to discuss them. Users can even post polls by comparing different products as well. The features of Amazon Spark are very simple and easy to use. You might think that tagging products is a hassle, but within seconds it’s completed. There are no likes, but there are “smiles” - which function exactly the same as likes. People can even put hashtags on their posts, much like many other social media platforms, to spread their image on other people’s feeds. Even better for Amazon sellers, you can post images of your own products. However, you are required to disclose the fact that you are related to the product you are posting in your image-much like a paid advertiser on instagram. For example, you can post an image of you jogging in a pair of sweatpants you sell and title it: “Out for a Morning run wearing my latest line of (insert brand name) sweatpants,” with the inclusion of #sponsored hashtag. 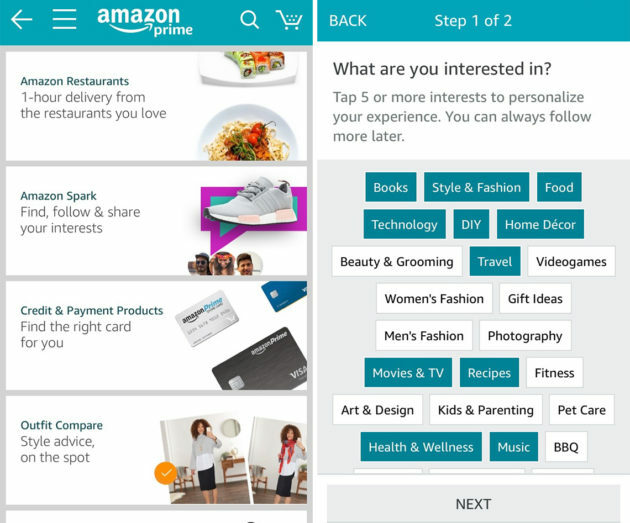 However, the most recent feature added into the Amazon spark is the ability for sellers to create their brand profiles which entitles them to be verified, much like on Facebook, Instagram, Twitter etc… This way you can interact representing your brand instead of using a personal Amazon shopping profile. One problem with this feature is the fact that only sellers that have been approved for branding 2.0 can exercise this option. That being said, the Amazon Spark social network is very simple and straightforward in technical terms. What complicates it, is actually predicting how much value and utility is actually being brought to its users. The fact that users get to come in contact with products based on interest rather than by product category can present a very unique opportunity. Every Amazon seller that has had aspirations of presenting their products outside of their department, knows it is next to impossible. To better explain it, imagine that you sell a special food container that is in the Home & Kitchen department and you believe that people that buy hiking gear would buy it. Hiking gear is in the Sports and Outdoor department and no matter what keywords you use in your PPC campaign, your ad will not display in the Sports & Outdoors department. I’m sure that any Amazon seller selling any product can come up with a few products from different departments that might attract the same type of customers. 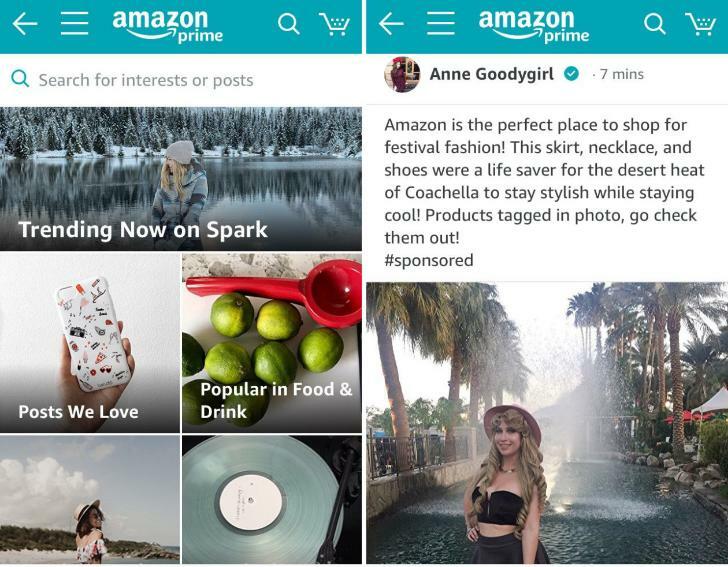 By using the interests feature and proper hashtags on Amazon Spark, you just might be able to reach out to those otherwise inaccessible customers. This will give you a way of testing many different ideas to present your product to different audiences. At this moment, your PPC campaign heavily limits you as an ordinary seller. This might be an opportunity to bypass those limitations. It can be entirely possible to explore numerous ways of showcasing your product to Amazon users who most likely would’ve never came across it. For this reason alone, it might be wise to actually invest some time and effort to understand Amazon Spark’s communities and culture. Being an Amazon seller is truly an amazing business to be in for so many reasons, yet there are a few reasons that can make it not so great. The main reason being is that we do all of our work at the computer, with limited opportunities to interact with our customers. It is well-know that customers prefer to buy products from people they form relationships with. To analyze the reason given about further, it would be foolish to go on about obvious advantages of being able to sell online in terms of cost compared to having a store. However, if you did have a physical store it would be a lot easier to create meaningful relationships with your customers. As Amazon sellers,The only thing we can do to interact with our customers is to send them an e-mail, or a few, in hopes of getting a review. This is a very limited and restraining way of being able to interact with your customers. Amazon Spark might be a way for you and your brand to be able to achieve this interaction with your customers on a more meaningful level. If you look at it from the perspective of the customer, they probably see the purchase of your product as something as impersonal as picking something off a shelf. While for you, getting a customer to your listing is like someone walking into your store. You might have an opportunity to actually put a face on your product and to reach your customers on a more personal level. Arguably, the Amazon seller that are most dedicated to good customer service might be able to shine in contrast with their competitors using Amazon Spark with the help of these personable interactions. Raising the quality of your customer service has been proven to only help your business. In conclusion, Amazon Spark is obviously not as successful as Amazon would like it to be at this moment. However, it is not a wise bet to assume that Amazon won’t make this another success story when they are focused on it. Even right now, Amazon Spark presents unexplored territory for Amazon sellers, leading itself to be full of potential. Of course, you shouldn’t do it just because you can, but it is definitely worth at least looking into it to learn if it can work for you. It is certain that there must be numerous ways to improve your Amazon FBA business on Amazon Spark. It is also certain that many people have already found ways of boosting their sales using it. The only real question is, can any seller and any product can make it worth their while? If that seller is you and that product is your product, it just might be worth finding out.